Neem oil is a vegetable oil from the Azadirachta indica evergreen tree. This potent oil has a strong mixed scent of garlic and peanut butter. It varies in color from golden yellow, yellow-brown, red-brown, dark brown, green-brown to bright red. At room temperature it remains a liquid. Exposure to cold temperatures, (below 55 degrees), causes separation, thick consistency and solidification. To restore to a thin consistency, place bottle of oil in warm water until liquified. 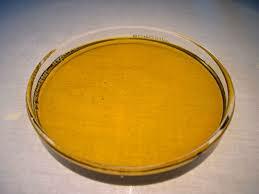 Do not place oil in boiling water, since its effectiveness may be reduced. CAUTION! 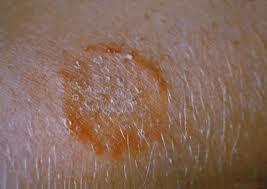 Never apply hot burning oil to skin, since painful blisters can form. This oil absorbs into skin, quickly, with no greasy feeling. This oil is used in products for people and pets: soaps, lotions, creams, shampoos and sprays. It’s rising in popularity in Europe and the USA. Discover benefits of Neem with homemade remedies! Learn how to make soap with homemade soap recipes! Discover the Neem oil uses! The Neem tree can grow up to 66 feet with wide spreading branches, white fragrant flowers and fruit, similar in appearance to olives. It thrives in sub-tropical or tropical regions. It’s native to India, Nepal, Pakistan, Bangladesh and Sri Lanka. Neem bark, leaves, fruit, seeds and oils all have medicinal properties! COLD PRESSING: Cold pressed oils retain all their flavor, aroma and nutritional value. Cold pressed oil is produced with a combination of grinding and low heat technique. The term “cold pressed” has different meanings depending upon the region it was made. For example, Europe has different regulations than the USA. This method is most used by leading manufacturers. More expensive way of extraction than other methods. MECHANICAL PRESSING: Neem fruit is collected. Kernels are separated to get seeds. Seeds are woven dried and fed into mechanical pressing machine. Oil is collected in a drum. Unwanted particles are filtered out to obtain pure oil. This method obtains the purest form of oil with active compounds. Oil is lighter in color and odor when compared to other extraction methods. STEAM and HIGH PRESSURE: Dried Neem seeds are fed into steam boiler causing seeds to swell. Squeezing the oil becomes easier. Between the steam and increasing boiler pressure, oil is driven from seeds without any pressing. A filtering process clears away unwanted particles. This method is not as good because heat degrades flavor, nutritional value, color and may expose toxins. CHEMICAL SOLVENTS: A petroleum/alcohol solvent is mixed with seeds after woven drying. The solvents extract oil out of the kernel up to a percentage. In addition, Neem seeds may be pressed. Maximum oil extraction is ensured. — Neem oil is POTENT! It can irritate your skin or scalp. It must always be diluted in carrier oil, lotion, soap, shampoo or some other buffering agent to minimize risk of irritation. — Keep away from children, the weak and elderly. — Avoid if you’re pregnant or trying to conceive. Although it’s generally safe for external use, high concentrations is not advised since it may influence hormone production. — Some people may be sensitive, especially at high concentrations. Test Neem based solution on small area of skin before using on larger areas. — Avoid use if you have a pre-existing medical condition. Can be toxic when taken internally causing diarrhea, nausea, vomiting, acidosis, etc.. Check with your health care provider before use. ANTIVIRAL: Inhibit growth of viruses. HOMEMADE REMEDY: Relieve colds, coughs, allergies and other upper respiratory ailments. Detoxify the body. 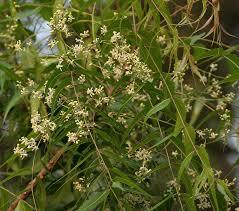 Neem tea is an herbal tea made from ground leaves, flowers or bark of the Azadirachta indica tree. A general ratio of 3 to 5 whole leaves per cup of hot water is preferred. Steep with boiled water from 5 to 15 minutes. ANTI-FUNGAL: Inhibit growth of fungi. Gedunin and Nimbibol are powerful anti-fungal compounds. Combat Athlete’s foot, ringworm and nail fungus. Neem lotion prevents future infections. ANTIBACTERIAL/ANTIMICROBIAL: Destroy bacteria and growth of microorganisms. ANTI-INFLAMMATORY: Reduce redness and swelling. ANTI-AGING: High levels of fatty acids and vitamin E restores and rejuvenates skin cells. Increase skin elasticity. Extract skin impurities. Tighten skin pores. Balance skin tone. Prevent and treat acne scars. High level of antioxidants protect skin from damaging free radicals. Reduce appearance of fine lines, wrinkles, sagging, discolorations and uneven skin tone. Exfoliate dead skin cells. Moisturize. Soothe dry itchy skin. Restore natural, youthful, glow. Skin Care Tip # 1: Exfoliate dead skin cells with gentle Neem body scrub. Skin Care Tip # 2: Cleanse with gentle Neem soap. Skin Care Tip # 3: Moisturize. Apply gentle Neem lotion before bed. NATURAL INSECT REPELLENT: Repels variety of pests: cabbage worm, mealy bug, locust, beetles, mites, gnats, mushroom flies, fleas, ticks, ants, mosquitoes, caterpillars and more. Neem oil is used for organic farming due to its insect repellent properties. It is not known to harm mammals, birds, earthworms, butterflies, honeybees or ladybugs, if it’s not concentrated directly in their habitat or on their food source. Neem soap and shampoo are popular with dog owners. Sprays are used on horses, cattle and live stock to repel insects and skin parasites. Looking for more homemade skin care tips? Find them, now! Soap Making Tips: Neem oil blends well with earthy scents, geranium, cedar wood, florals, sandalwood, lavender and lemongrass. Store oil in cool dark place, away from sunlight. DIRECTIONS: Mix all ingredients by stirring vigorously. Pour into prepared soap making molds or hand mold into various sized balls. Depending on how much extra oil you add, it usually takes a couple of hours for soap to set up. Use after soap hardens. Congratulations! You've just a made homemade soap and a natural insect repellent! DIRECTIONS: Combine about 10% Neem oil with other oils for hair and scalp nourishment and conditioning. Complimentary oils include: avocado, olive, coconut, castor and shea butter. Scent shampoo with Tea Tree oil and Peppermint essential oils. This combination of oils will add hair shine and silkiness. Your hair will be clean and your scalp will feel a tingle sensation. Rinse hair thoroughly with water. Gently towel dry.